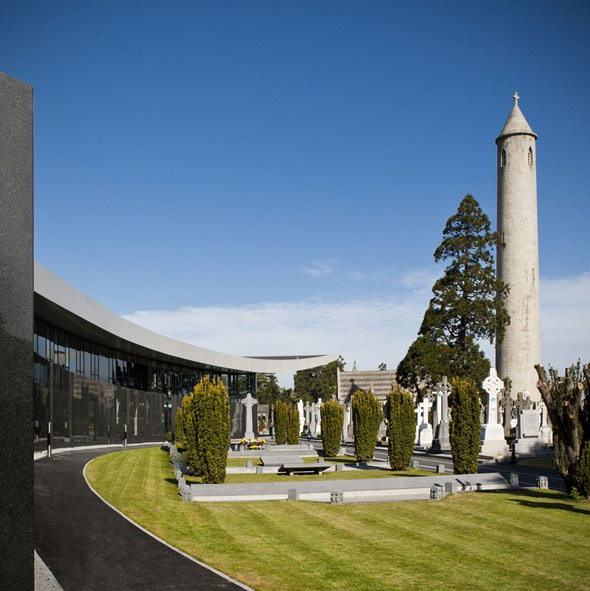 Glasnevin Cemetery is run by the Glasnevin Trust, the cemetery first opened in 1834, and from the beginning was completely open to people of all faiths. 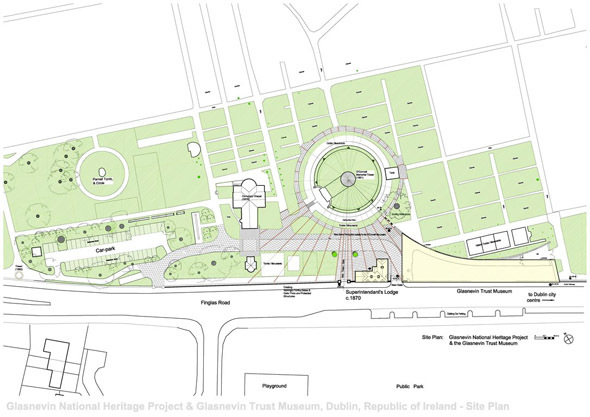 Very little space was available for any new buildings within the cemetery walls; the site for the new building was the area immediately east of the former Superintendant’s Lodge, located between the calp boundary wall of the cemetery and the historic Republican graves. 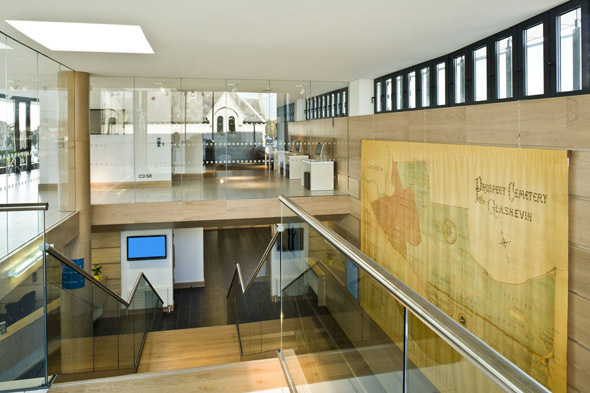 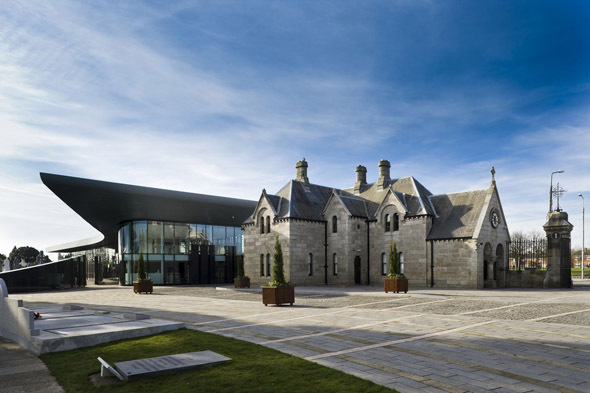 The project included the conservation and refurbishment of the 19th century former Superintendent’s Lodge, – a protected structure – for continued use as executive offices, and also extensive areas of stone paving and landscaping, in addition to the new Museum. 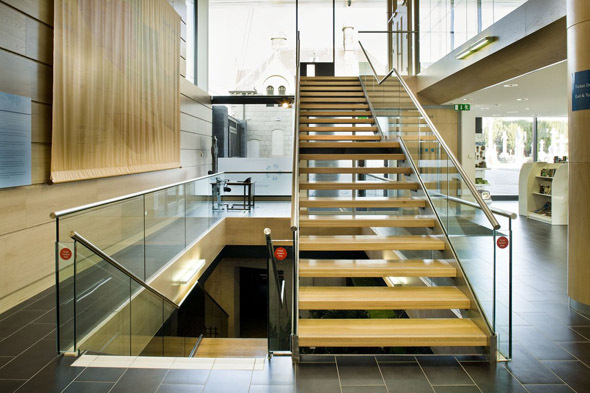 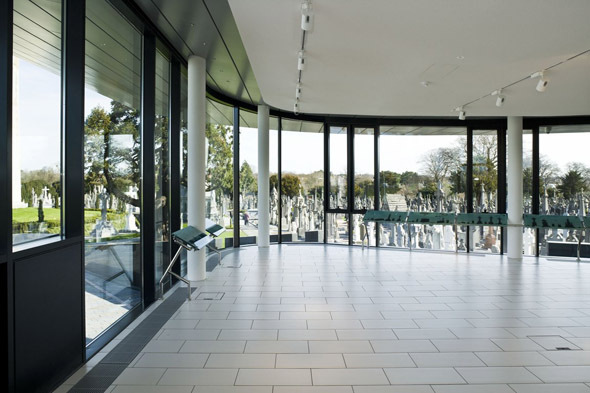 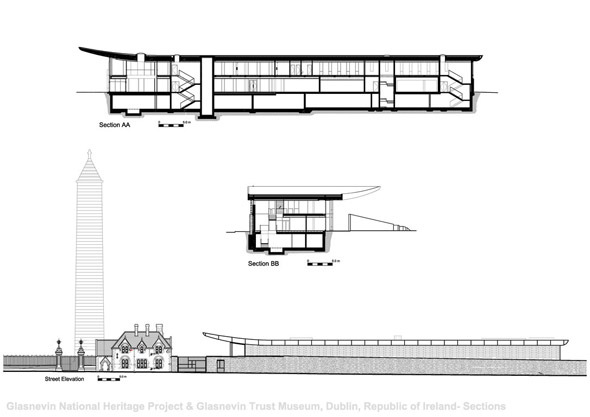 The concept was to house the Museum and to provide for other required accommodation in the Museum and in the lodge, and to enhance the public precincts of the cemetery, while acknowledging the visual primacy of the O’Connell Memorial Tower and respecting the importance within the cemetery of the historic graves, and enhancing the visual dialogue between the Tower, the Museum, and the Wellingtonia tree. 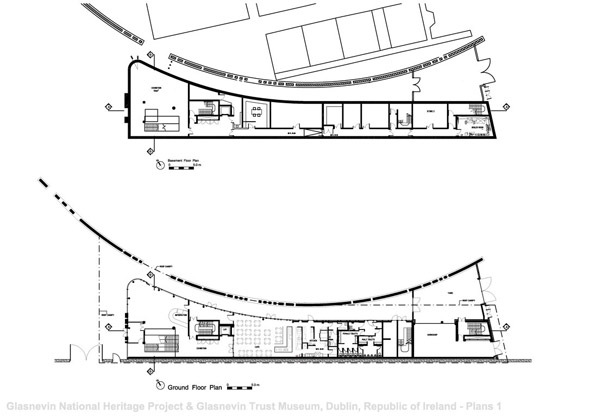 The plan of the building curves outwards at the west end/entrance of the museum, and the roof curves outwards and upwards forming a cantilevered canopy and at the same time provides a sheltered meeting place for visitors. 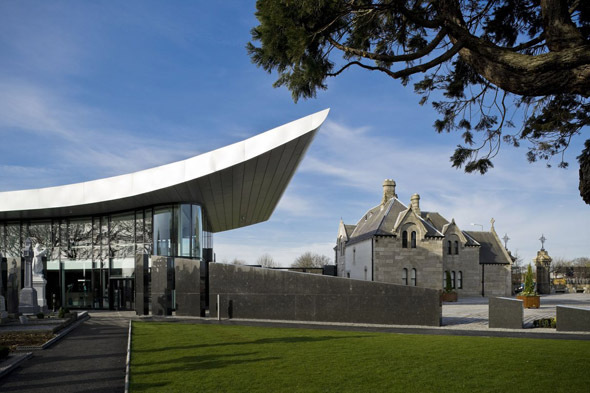 This curving roof points directionally towards the Tower, creating a dialogue between the Tower, the curving roof of the Museum, and the adjacent Wellingtonia tree. 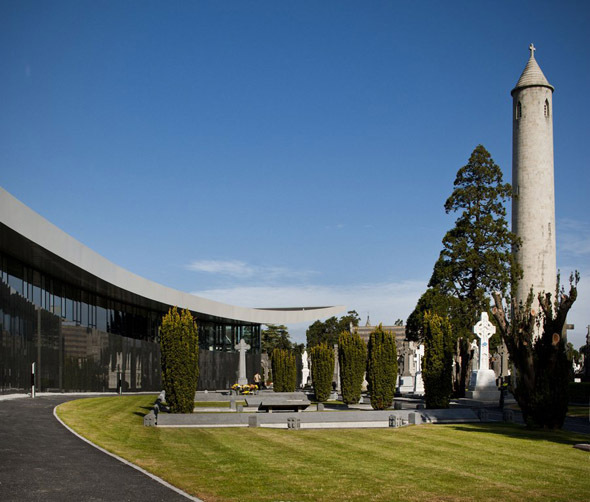 The cylindrical form of the Tower and the large Wellingtonia tree is echoed in turn by the semi-circular north west corner of the Museum.